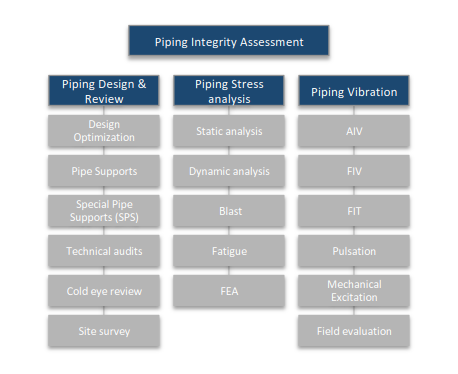 The aim of an effective piping integrity assessment is to review, evaluate and improve the integrity, reliability and performance of piping systems for safe operation. 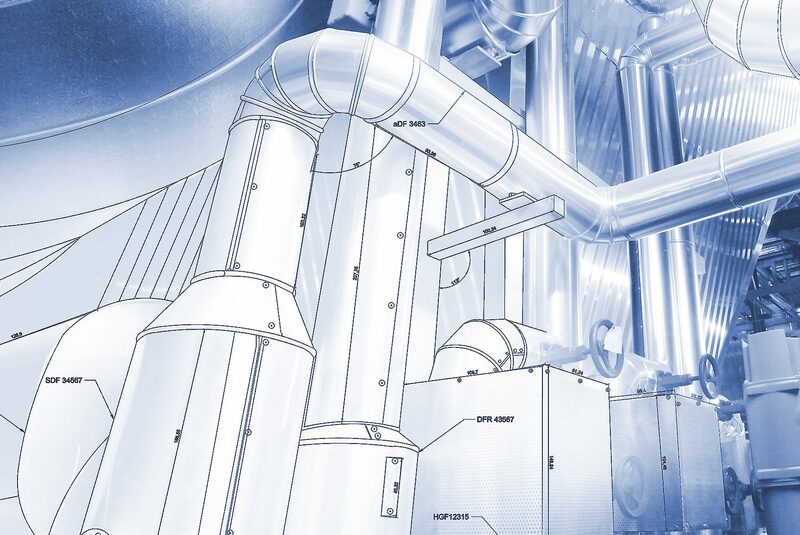 Piping systems are the heart of every process plant. Therefore their safe design and operation play a significant role to reduce hazards and operational risks in our projects. In order to ensure the integrity and compliance of a new or existing piping system, Caesar II or AutoPIPE will be used to evaluate the piping stresses resulting from thermal cycles, static pressure, pipe and fitting weights and other environmental design conditions as per all industry piping codes, such as B31.3, B31.8, PD-8010, DNV and others. Considering the complexity of the system, other speciality software such as FEpipe, NozzlePRO might also be required. The modal analysis will also be carried out to evaluate the modal shapes and natural frequency of all piping systems due to their importance in a safe operating environment. Failures of piping systems have always been one of the major causes of fires, explosions and fatalities in oil and gas plants. Excessive vibration of process piping is one of the most important reasons for these failures and accidents. The Energy Institute (EI) guideline is the industry recommended approach to identify, resolve and prevent risks causing vibration in piping systems. We have a unique solution for your challenging project! Copyright © 2018 Emveedo Energy. All rights reserved.